When we discuss membrane transport, we are referring to the specific properties of the cell membrane and how different particles can move across that membrane. Thus, understanding membrane transport, requires an understanding of the cell membrane itself. So, this is where we will begin; at the cell membrane! There are a lot of ways that substances are permitted to pass through the cell membrane. There are 2 main categories of membrane transport; active and passive. ACTIVE TRANSPORT mechanisms require energy. PASSIVE TRANSPORT mechanisms do not require energy. 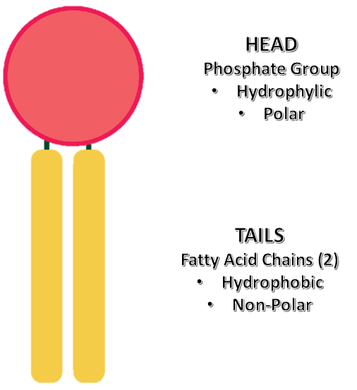 The 3 types of passive membrane transport diffusion, facilitated diffusion and osmosis. In all of these transport mechanisms, substances move from an area of higher concentration to an area of lower concentration. When we have a difference in the concentration of a substance, we call this a concentration gradient. In passive transport mechanisms, molecules are traveling "down" their concentration gradient, from an area of high concentration to an area of low concentration. Diffusion is a natural process that does not require energy. Small, charged molecules freely diffuse across the cell membrane. For molecules that do not freely diffuse across the membrane, specialized membrane proteins can allow for diffusion of these molecules across the membrane.This mechanism of transport is called facilitated diffusion. Diffusion of water is so important to biological processes and to osmoregularity, that it is given its own name; osmosis! A hypotonic solution, is a solution that has a lower concentration of solutes (dissolved particles) than the liquid inside the cell. Since the cell membrane is only semi-permeable, the solutes cannot move across the membrane, but the water can! 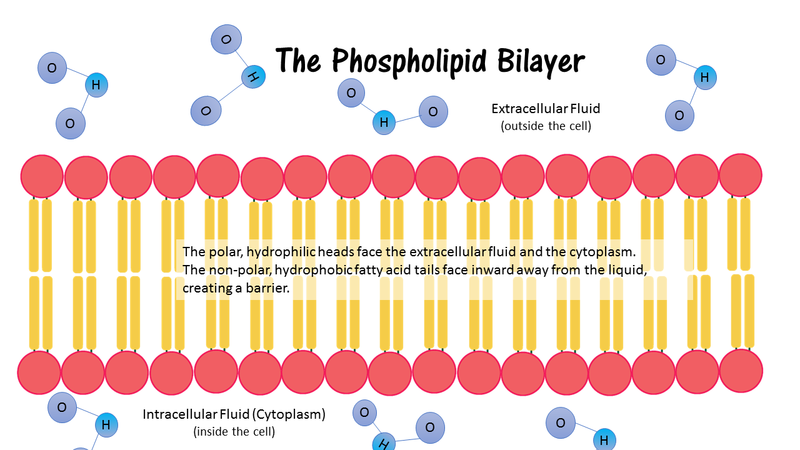 So, when a cell is placed into a hypotonic solution, water will rush into the cell causing it to bloat and swell. If the solution is very hypotonic, the cell can burst open! OUCH! An isotonic solution is a solution that has the same concentration of solutes as the liquid inside of the cell. 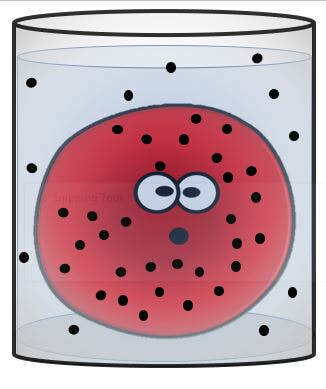 In this situation, since the concentration is the same inside the cell as it is outside the cell, water is happy! There will be no net movement of water flowing into or out of the cell. 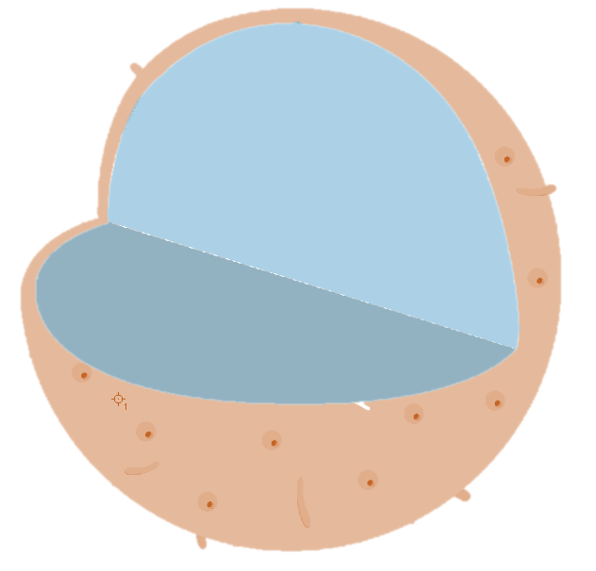 In this situation, the cell maintains its shape and is healthy and happy! A hypertonic solution is a solution that contains a higher concentration of dissolved substance than the liquid inside of the cell. When a cell is placed in a hypertonic solution, water will move out of the cell, causing the cell to shrink and shrivel up! Active transport mechanisms require energy and act to move the molecule(s) against their concentration gradient, from an area of lower concentration to an area of higher concentration. Active transport requires an energy source and a transmembrane protein that allows passage of the molecule(s) against its concentration gradient. Another type of active membrane transport is vesicular transport. This type of transport is explained in more detail below! 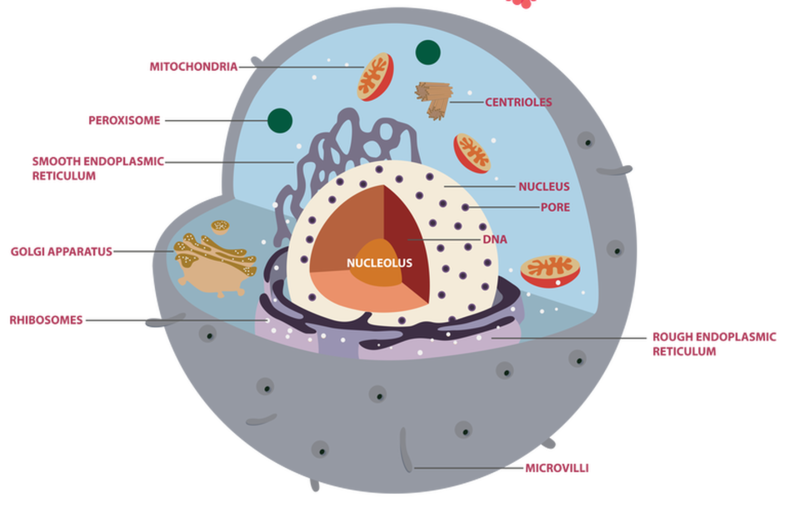 Endocytosis is the process by which contents from the extracellular matrix are taken up into the cell through a mechanism that involves the cell membrane essentially "pinching off" part of itself to form a vesicle ​that surrounds the particles being transported into the cell. Exocytosis is when a vesicle from inside the cell fuses with the membrane and the contents are released into the extracellular fluid. ​Vesicular transport is a vital part of the cell's function. Vesicles perform a variety of functions, including transport, metabolism, and temporary storage ​. There are 3 different types of endocytosis. Phagocytosis – “cell eating” - In phagocytosis, one cell will engulf the target and then proceed to digest or destroy the contents of the vesicle. 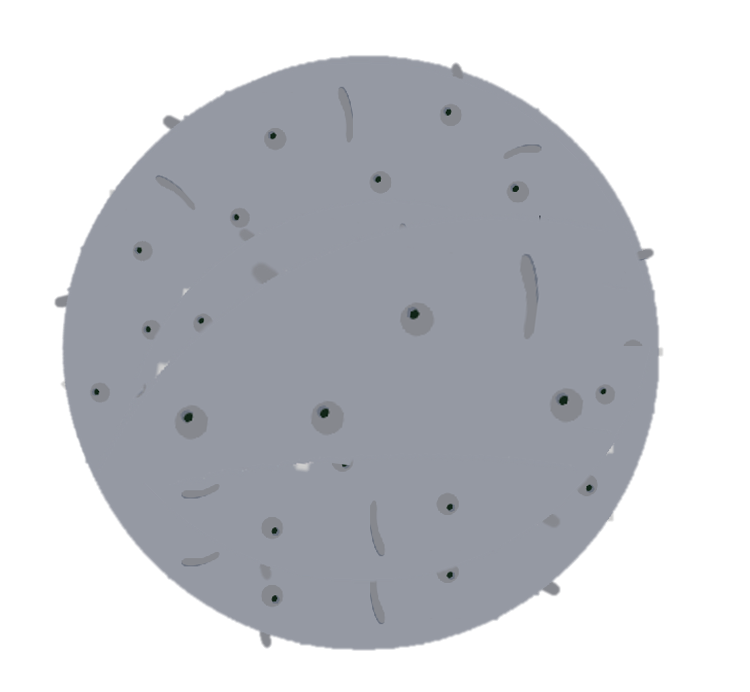 Phagocytosis is demonstrated by white blood cells that are appropriately named, "phagocytes". Pinocytosis – “cell drinking” - Cells tend to sample small amounts of the extracellular fluid via pinocytosis. Pinocytosis is when the endocytosis results in a vesicle having only extracellular fluid as its contents. Receptor-mediated endocytosis - This occurs when the plasma proteins bind only to certain molecules via a "lock and key" mechanism. The binding triggers the section of the membrane to "invaginate" and form a vesicle around the molecule that transports it into the cell from the extracellular fluid. Capillary Exchange and Capillary Dynamics are important concepts for understanding how gases and nutrients are moved from the blood to the cells of the body. Capillary dynamics is governed by two opposing forces; hydrostatic pressure and osmotic pressure. Capillary exchange is the exchange of materials between the blood and the cells of the body. This exchange of materials occurs in the capillaries, which are the smallest blood vessels. Capillaries have a thin wall composed epithelial tissue that is only one cell-layer thick. This thin capillary wall allows for exchange of materials to occur between the blood and the surrounding cells and tissues. Capillary exchange can occur in 3 different, but related, ways. filtration: In bulk flow, this refers to the movement of proteins or other large molecules from the blood into the interstitium. reabsorption: In bulk flow, this refers to the movement of proteins or other large molecules from the interstitium into the blood. The net filtration pressure is the balance of the forces and determines the net flow of fluid across the capillary membrane. proteinuria: Excessive protein in the urine, a condition which can alter the net filtration pressure altering flow of fluid across the capillary wall. hydrostatic pressure: A pressure generated by fluid on the walls of the capillary, usually forcing water out of the circulatory system. net filtration pressure: The balance of the four Starling forces that determines the net flow of fluid across the capillary membrane. oncotic pressure: A form of osmotic pressure exerted by proteins in a fluid that usually tends to pull water into the circulatory system. ​Capillary Dynamics is concerned with how the permeability of the capillary wall changes under different conditions. Osmotic pressure is caused by the presence of impermeable solutes or solids, such as proteins and other large molecules in a fluid, like the blood plasma or the extracellular fluid (or interstitial fluid). Extracellular Fluid is a general term that means "the fluid outside the cell". Extracellular fluid, therefore, would include all of the fluids in the body that lie outside of cells. The Extracellular fluid includes the interstitial fluid (fluid in between the cells and tissues) and blood plasma. Hydrostatic pressure is a force generated by the pressure of fluid on the capillary walls either by the blood plasma or interstitial fluid. This is your blood pressure. Diffusion is the process by which a substance moves from an areas of high concentration (or pressure) to a lower concentration (or pressure). Small uncharged molecules such as glucose, oxygen and carbon dioxide are allowed to freely diffuse across the thin capillary walls according to the driving force caused by a concentration gradient (a difference in concentration between one area to another area). Impermeable substances can be transported across the capillary walls through a type of facilitate diffusion (a type of diffusion that requires energy) called transcytosis. Bulk flow is the process by which small, lipid-insoluble materials can cross the the capillary wall. The movement of materials across the wall is dependent on pressure and is bi-directional depending on the net filtration pressure derived from the four Starling forces that modulate capillary dynamics. The four Starling forces modulate capillary dynamics. Oncotic or colloid osmotic pressure is a form of osmotic pressure exerted by proteins in the blood plasma or interstitial fluid. Hydrostatic pressure is the force generated by the pressure of fluid within or outside of capillary on the capillary wall. The net filtration pressure derived from the sum of the four forces described above determines the fluid flow into or out of the capillary. Movement from the bloodstream into the interstitium is favored by blood hydrostatic pressure and interstitial fluid oncotic pressure. Alternatively, movement from the interstitium into the bloodstream is favored by blood oncotic pressure and interstitial fluid hydrostatic pressure. Capillary Dynamics: Osmotic pressure exerted by solids in the interstitial fluid drives water from the interstitial fluid into the blood vessels (capillaries). The pumping of the heart forces blood to flow into blood vessels. This force creates the blood pressure in the vessels that is needed to push blood around the body. This blood pressure is a type of hydrostatic pressure. This pressure is usually higher in the blood vessels than it is in the interstitial fluid, so the driving force due to hydrostatic pressue moves blood plasma from the blood vessels into the interstitial fluid that bathes the cells and tissues of the body. In conditions where plasma proteins are reduced (e.g. from being lost in the urine or from malnutrition), or blood pressure is significantly increased, a change in net filtration pressure and an increase in fluid movement across the capillary result in excess fluid build-up in the tissues (edema). ​Transcytosis is a process by which molecules are transported into the capillaries. Transcytosis is the process by which various macromolecules are transported across the endothelium of the capillaries. Due to this function, transcytosis can be a convenient mechanism for pathogens to invade a tissue. transcytosis: The process whereby macromolecules are transported across the interior of a cell via vesicles. Transcytosis, or vesicle transport, is one of three mechanisms that facilitate capillary exchange, along with diffusion and bulk flow. Substances are transported through the endothelial cells themselves within vesicles. This mechanism is mainly used by large molecules, typically lipid-insoluble preventing the use of other transport mechanisms. The substance to be transported is endocytosed by the endothelial cell into a lipid vesicle which moves through the cell and is then exocytosed to the other side. Vesicles are capable of merging, allowing for their contents to mix, and can be transported directly to specific organs or tissues. PathologyDue to the function of transcytosis, it can be a convenient mechanism by which pathogens can invade a tissue. Transcytosis has been shown to be critical to the entry of Cronobacter sakazakiiacross the intestinal epithelium and the blood-brain barrier. Listeria monocytogenes has been shown to enter the intestinal lumen via transcytosis across goblet cells. Shiga toxin secreted by entero-hemorrhagic E. coli has been shown to be transcytosed into the intestinal lumen. These examples illustrate that transcytosis is vital to the process of pathogenesis for a variety of infectious agents. Transcytosis in PharmaceuticalsPharmaceutical companies are currently exploring the use of transcytosis as a mechanism for transporting therapeutic drugs across the human blood-brain barrier. Exploiting the body’s own transport mechanism can help to overcome the high selectivity of this barrier, which blocks the uptake of most therapeutic antibodies into the brain and central nervous system. 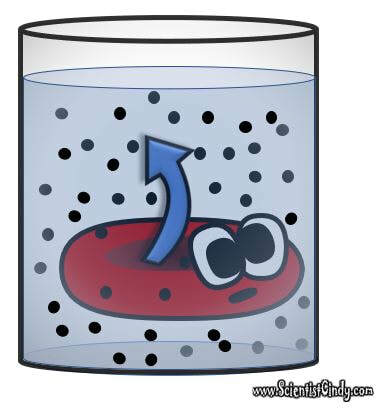 Bulk Flow: Filtration and ReabsorptionCapillary fluid movement occurs as a result of diffusion (colloid osmotic pressure), transcytosis, and filtration. Bulk flow is a process used by small lipid-insoluble proteins to cross the capillary wall. Capillary structure plays a large role in the rate of bulk flow, with continuous capillaries limiting flow and discontinuous capillaries facilitating the greatest amount of flow. When moving from the blood to the interstitium, bulk flow is termed filtration. When moving from the interstitium to the blood, bulk flow is termed re-absorption. The kidney is a major site of bulk flow where waste products are filtered from the blood. Bulk flow is one of three mechanisms that facilitate capillary exchange, along with diffusion and transcytosis. Bulk Flow ProcessBulk flow is used by small, lipid-insoluble solutes in water to cross the the capillary wall and is dependent on the physical characteristics of the capillary. Continuous capillaries have a tight structure reducing bulk flow. Fenestrated capillaries permit a larger amount of flow and discontinuous capillaries allow the largest amount of flow. The movement of materials across the capillary wall is dependent on pressure and is bidirectional depending on the net filtration pressure derived from the four Starling forces. When moving from the bloodstream into the interstitium, bulk flow is termed filtration, which is favored by blood hydrostatic pressure and interstitial fluid oncotic pressure. When moving from the interstitium into the bloodstream, the process is termed reabsorption and is favored by blood oncotic pressure and interstitial fluid hydrostatic pressure. Modern evidence shows that in most cases, venular blood pressure exceeds the opposing pressure, thus maintaining a positive outward force. This indicates that capillaries are normally in a state of filtration along their entire length. The Kidneys and Bulk FlowThe kidney is a major site for bulk flow transport. Blood that enters the kidneys is filtered by nephrons, the functional unit of the kidney. Each nephron begins in a renal corpuscle composed of a glomerulus containing numerous capillaries enclosed in a Bowman’s capsule. Proteins and other large molecules are filtered out of the oxygenated blood in the glomerulus and pass into Bowman’s capsule and the tubular fluid contained within. Blood continues to flow around the nephron until it reaches another capillary-rich region the peritubular capillaries, where the previously filtered molecules are reabsorbed from the tubule of the nephron. Tubular Secretion: Diagram showing the basic physiologic mechanisms of the kidney and the three steps involved in urine formation.